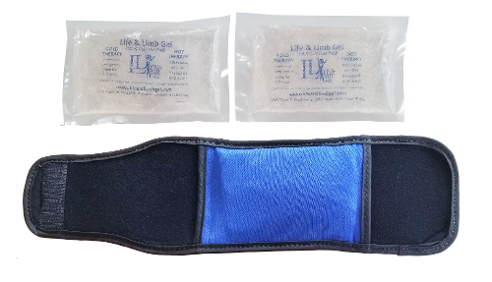 Life and Limb Gel products are affordable for individual use but the high quality craftsmanship and ease of washing, sanitizing, and reusing make them ideal for the medical professional. 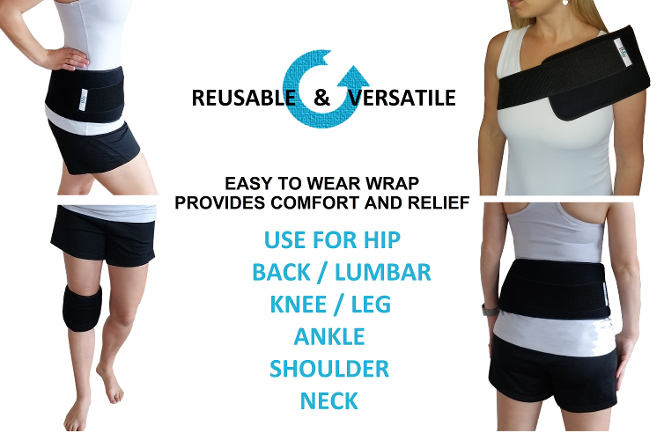 The Velcro-sensitive elasticized strapping and Velcro-sensitive cover make these products infinitely adjustable. 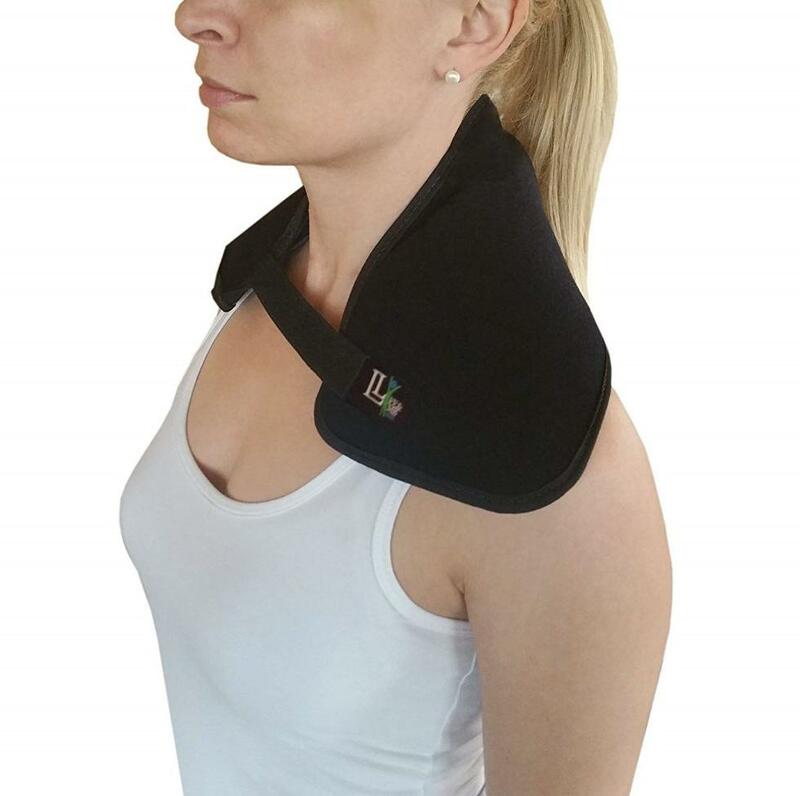 When the straps are adjusted, you are allowed “hands free” therapy, allowing you to continue your daily activities. 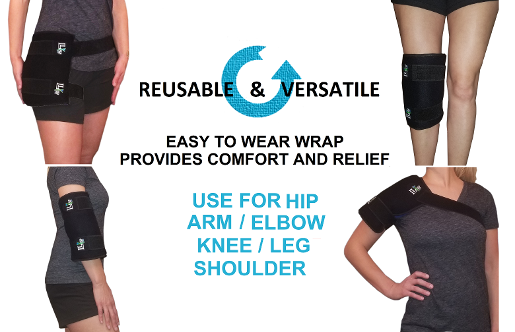 Our product keeps your injury at the optimal temperature for the optimal time. 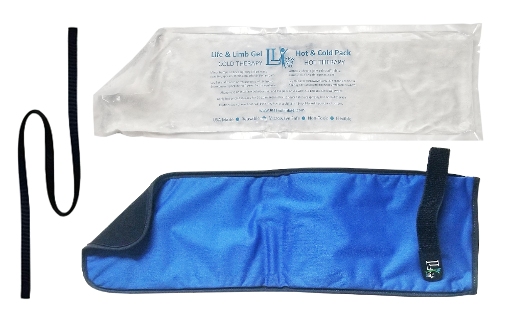 Medical professionals typically recommend using hot or cold therapy for no longer than 20 minute intervals, and this product will stay cold for over an hour when placed in the freezer between treatments! 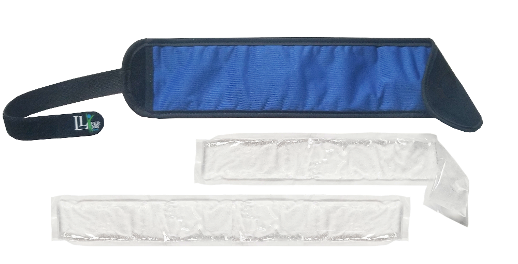 Our unique gel pack casing material is made of a 4-way stretch material laminated to a stretchable, environmentally friendly plastic. This prevents the icy, watery mess that you get with a standard gel pack, while keeping your skin protected from thermal damage. 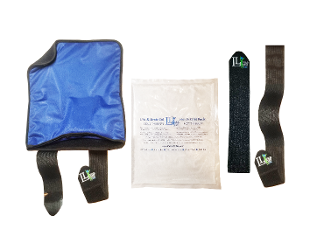 This extra small hot and cold therapy wrap comes with TWO interchangeable 3" x 5" mini gel packs that are microwave safe and flexible when frozen. 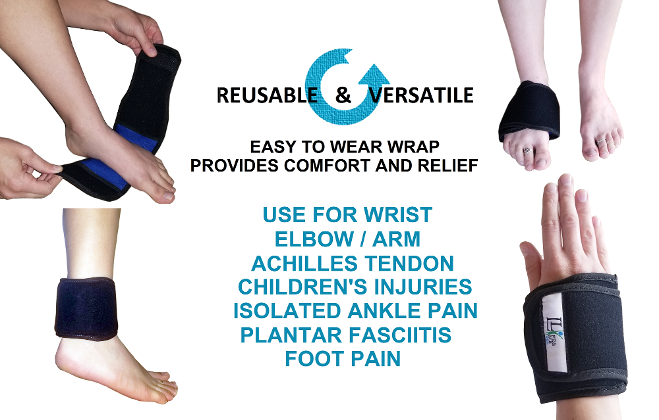 Always be ready to treat plantar fasciitis, kids injuries, ankle, or wrist injuries. 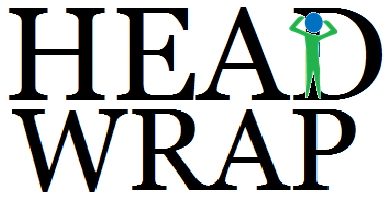 Handmade in the USA, our wraps are backed by a 100% satisfaction guarantee. 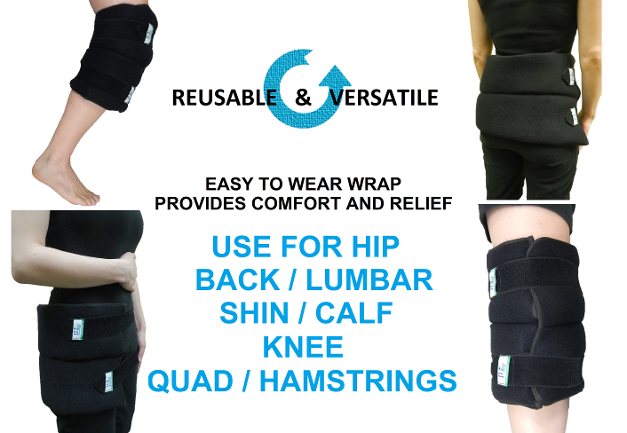 USE IT ANYWHERE Ideal applications are the knee for patellar tendon issues, jaw for jaw pain, sinus pressure, or head or use it anywhere! 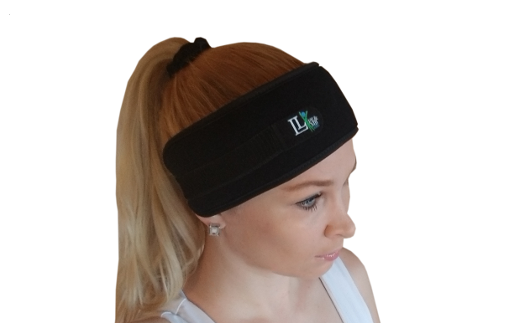 This head wrap is perfect for treating headaches, patellar tendon pain, dental pain, eye strain, sinus pressure, etc. 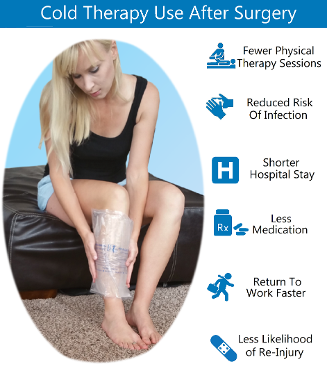 The slender 2.5" x 14.5" gel pack can be frozen to treat injuries. 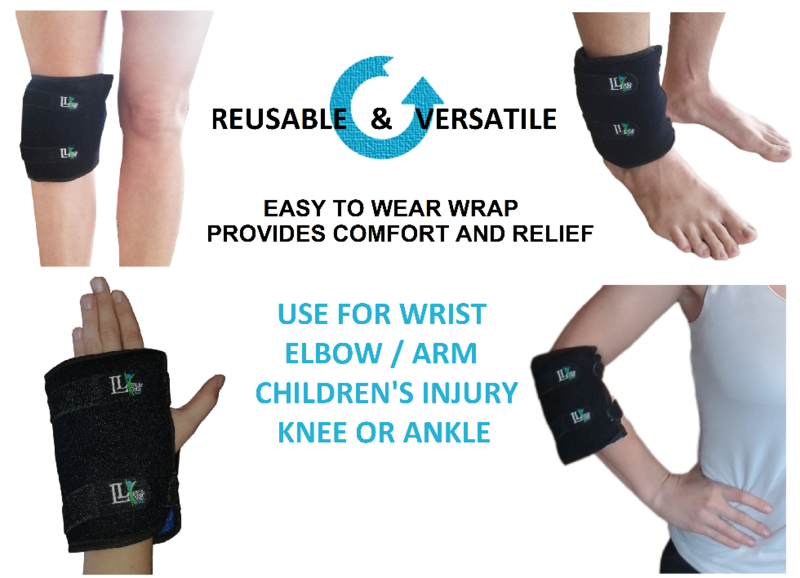 The gel inserts can also be microwaved LOW for 5-10 second intervals but remember that COLD therapy is beneficial for most injuries and hot therapy is generally not recommended. Proper treatment: includes not overheating the pack, storing it in a plastic bag when it is in the freezer, keeping the pack out of direct sunlight, and keeping the hook and loop clean and free of debris. Gently adjusting the hook and loop will keep the strapping and materials looking new. Washing Instructions: Any outer cover should be washed by hand (recommended) or machine with mild detergent such as Dove™ dish washing soap and hung to dry (recommended) or set on tumble dry low in a machine. Avoid bleach, harsh cleansers and fabric softeners. 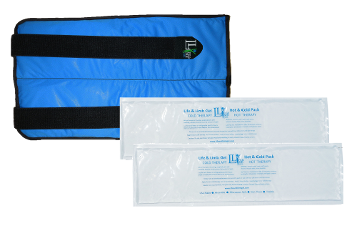 The gel pack inserts can be wiped clean with soap and water or antibacterial disinfectant. What happens if my gel pack gets punctured? Although the gel consists of safe non-toxic components, the pack should be discarded. Any spilled gel should be cleaned immediately to prevent falls. If the gel dries and later becomes wet, it will create a very slippery surface. Product Storage: Products should be stored in a clean environment out of direct sunlight and the hook should be fastened to the pack to prevent tangling and snagging. The freezer is also a great place to store the gel pack when it is not in use and it can be stored for several months with no problems. To prevent it from picking up unpleasant odors in the freezer, place it in a plastic bag. Heating Instruction: Heat 20-30 seconds at a time intervals until desired temperature is achieved, kneading gel carefully between intervals. Take caution not to overheat the product! It can cause damage to the pack or result in burning the skin. Alternatively, the gel insert can be placed in a bowl of hot (not boiling) water. Experts recommend using cold therapy no longer than 20 minutes at a time followed by 20 minutes without cold therapy. It is safe to use cold therapy every day. 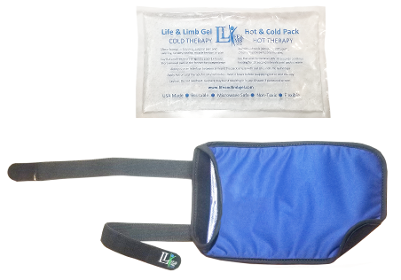 The gel pack can be placed in the freezer (or refrigerator) for cool therapy for 2 hours prior to application. For long life of your product, it may be stored in the freezer indefinitely until it is used. Persons with poor circulation, neuropathy, or sensitivity to temperature changes should use precautions by checking the skin regularly for irritation or avoiding thermal therapy. 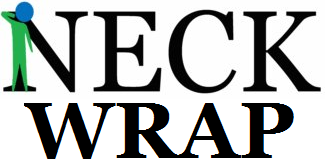 A barrier is recommended between skin and the gel wrap. A gel pack should not go directly from the freezer to the microwave because it causes uneven heating of the gel. Children's product use should always be monitored by an adult. If you are not sure if hot or cold therapy is right for you, contact your physician. Hot and cold therapy products should be used at one’s own risk.